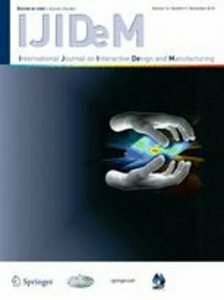 An article about the role of interactive sculpting and radial basis function (RBF) mesh morphing in the field of biomechanical computer-aided simulations having title “Virtual human bone modelling by interactive sculpting, mesh morphing and force-feedback ” has been published on the International Journal on Interactive Design and Manufacturing (IJIDeM) November 2018 , Volume 12, Issue 4, pp 1223–1234. The paper deals with an investigation on the role of interactive sculpting and radial basis function (RBF) mesh morphing in the field of biomechanical computer-aided simulations. In this context, mesh morphing can be effectively used in predictive medicine workflows where a patient-specific numerical model is taken as reference to understand the physics of interest by means of simulation-driven techniques. The proposed methodology is intended for addressing the interactive geometry modification in combination with a force-feedback device and it is applied to anatomical structures. The concept is demonstrated showing a fast remodelling workflow of the human femur. The interactive process allows to steer the morphing of a template FEA model onto the patient geometry by positioning a set of landmark points. A first morphing action allows to warp the solid model according to the RBF deformation field produced by landmarks, a final projection on the target surface is performed to complete the task. The approach proven to be quick, effective and ergonomic thanks to the haptic device and the high level of interactivity. New patient specific CAE models are generated in a very short time preserving the very good quality of the computational mesh.